This experience reminded me of the saying: Anything worth doing is worth doing badly. This means that we should continue to do what we love even if we’re not very good at it. A friend of mine loves drawing with colored pencils. She draws beautiful irises, gladiolas and pansies. Chances are, she won’t have an exhibit at the Museum of Modern Art (where there is, right now, a terrific exhibit of the Croatian artist Sanja Iveković). Yet on weekends and during a free moment, my friend takes out her artist pad and box of pencils and does her art because that’s what she loves to do. So often we let our fears of “not good enough” get in the way of things we’d like to try. We don’t explore or attempt new activities or things that might give us joy because we’re already comparing ourselves to others. Instead of focusing on what we like doing – like bicycling or baking – we get caught up in judging ourselves. And all too often, we give up, not because we didn’t enjoy the activity but because we didn’t feel we were good enough. What about you? Is there something you really want to learn how to do? What is stopping you? What are you doing to push yourself toward pursuing a dream? 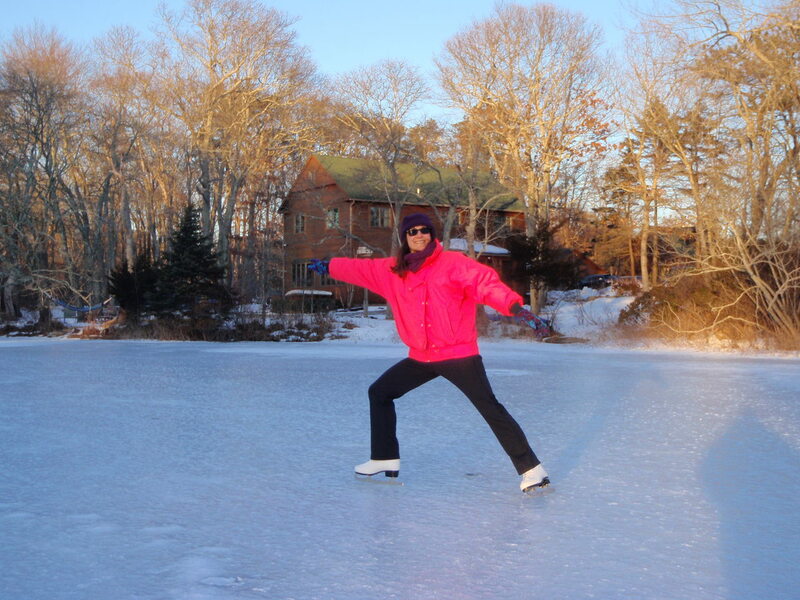 I’ll Never Be Michelle Kwan But So What? This entry was posted in Acceptance, How to Change Your Life and tagged best chapter, drawing, happiness project, inspiration, Julia Cameron, Michelle Kwan, Museum of Modern Art, Perfectionism, piano. Bookmark the permalink.